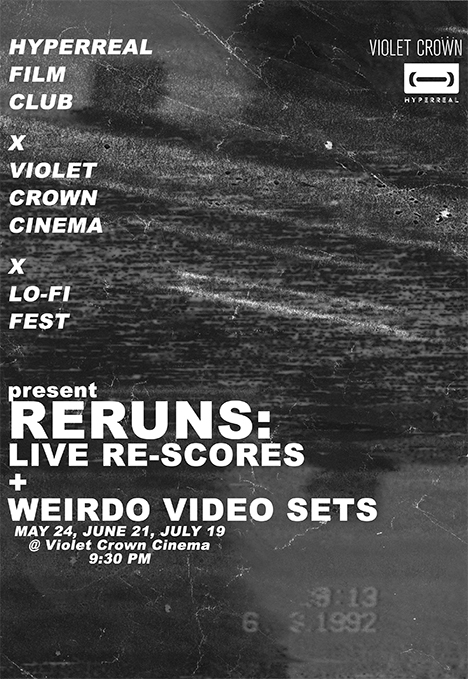 Violet Crown Cinema, Hyperreal Film Club and Lo-Fi Fest present RERUNS, a re-examination of our collective childhood media. Each event will feature an experimental video set from a local visual artist followed by a live re-scoring of media from the featured musician's formative years. Together, we're updating the past to see what inspires the art of the future.